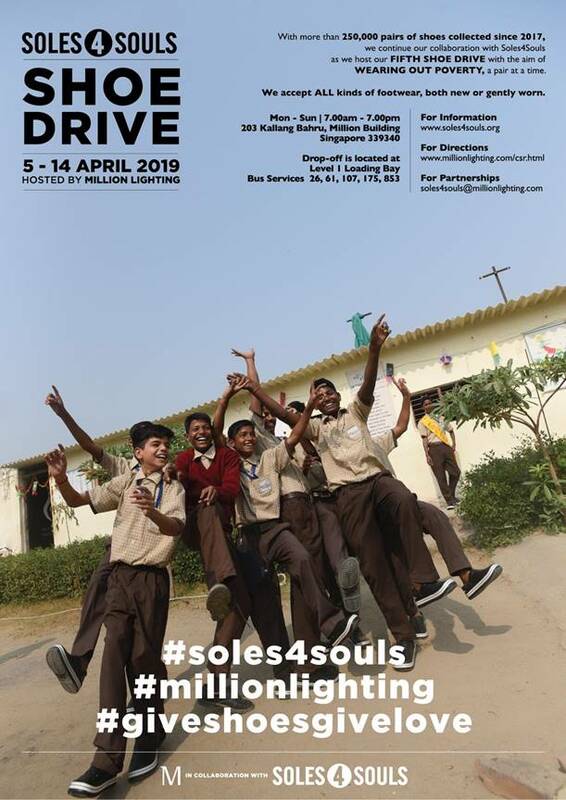 Million Lighting, is hosting their 5th pre-loved shoe collection drive in Singapore for Soles4Souls, the non-profit organisation that was founded in 2004 after the devastating Tsunami in the Indian Ocean. The objective of the non-profit is to hold donation drives all over the world for shoes – that are either NEW or GENTLY WORN. These will then be redistributed to those who need them but can’t afford them. So, go look in your shoe cabinets now, set aside what you can give away and drop off anytime within the collection period.